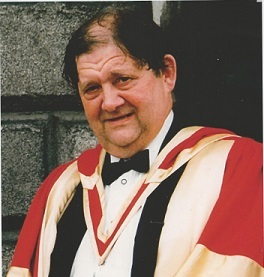 This year’s Trinity Monday Memorial Discourse was presented by Professor Jane Grimson, Fellow Emeritus and Pro-Chancellor, on Professor John Gabriel Byrne, founder and long-time Head of the Department of Computer Science at Trinity College Dublin. Affectionately remembered as the ‘Father of Computing in Ireland’, Professor Grimson delivered a fascinating Discourse recounting five decades of Professor Byrne’s important and influential contributions which touched many lives. I was lucky enough to be taught by Professor Byrne and these words resonate with me. As a pioneering genius in computing, he would have contributed so much to this particular challenge to civil society. Let’s strive to learn from his example, remembering that one of the purposes of the Trinity Monday Discourse is to recall those who helped make the college great. The full transcript of the 2018 Trinity Monday Memorial Discourse can be found HERE. Posted by: Catherine O'Connor, Head of External Relations, School of Computer Science and Statistics, Trinity College Dubin.